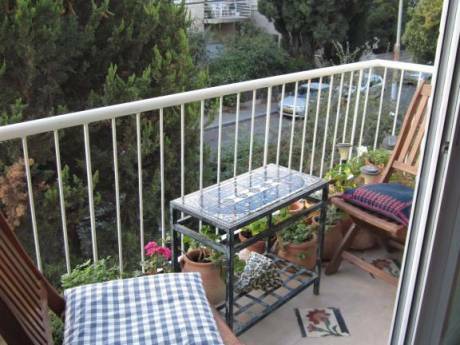 We offer a cozy and beautiful apartment in the new city of Jerusalem only 20 minutes by car from the city center and the old city. 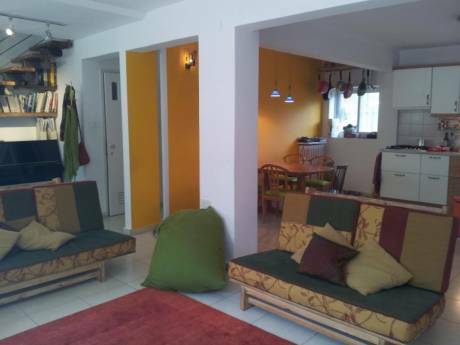 We have two bedrooms for 5 persons, one of them has a TV, (two double beds + a single bed). There is one living room equiped with comfort sofas, a 34 inch TV + home cinema, and a studying room with high speed internet and a sofa where 2 people can sleep. Our kitchen, orientally designed, is equipped with everything you need. All the family can eat together around our antique table in the dining area which is right next to the kitchen. There is a central heating of the building (needed only during the winter). 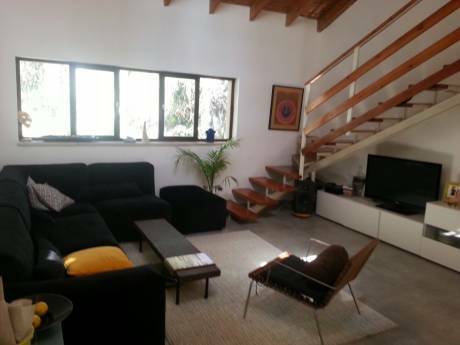 There is a magnificent view to all of the south-western part of Jerusalem from the living room and the two bedrooms. Fine restaurants and nightlife is 20 minutes by car - in the city center. We, Omer and Navit, are a couple, studying here in Jerusalem. Omer is studying medicine and Navit is studying engineering. We are a quiet, clean and orgenized people which love to travel in the world. Omer's warm family is living in the same neighbourhood and will be more than happy to assist you if you encounter any problem. We will be more than happy help you plan your vacation here in Jerusalem or in Israel in general. The neighbourhood is very quite and one of the richest in Jerusalem. The building is taken care of and has a beautiful garden. Just across the street you can find a grocery for everything you need for cooking, and an excellent bakery (for hot fresh bread every morning or pizzas and cookies for snacks). Also, there is a hair salon close to us. Public transportation is 5 minutes by foot from our flat (in Jserusalem there are only buses or taxis).